me suffer (and, for some, lose) the fight against this awful disease. 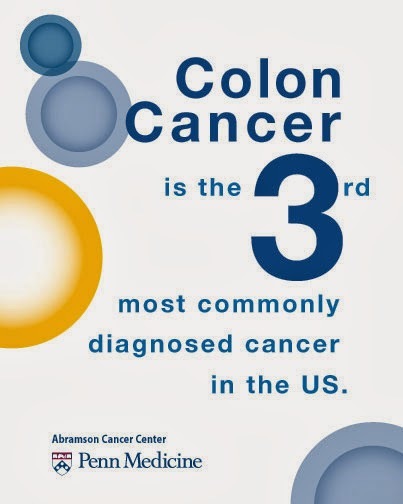 Colon Cancer currently affects 1 in 20 people. To put that in perspective, there are 20 kids in Chica's kindergarten class. Which one will grow up to be the statistic? March is Colorectal Cancer Awareness Month. Symptoms like persistent stomachaches and pains, rapid weight loss and bloody bowel movements may be symptoms of colon cancer. The good news? Colorectal cancer is highly treatable when found early, and, in some cases, can even be prevented with regular screenings. 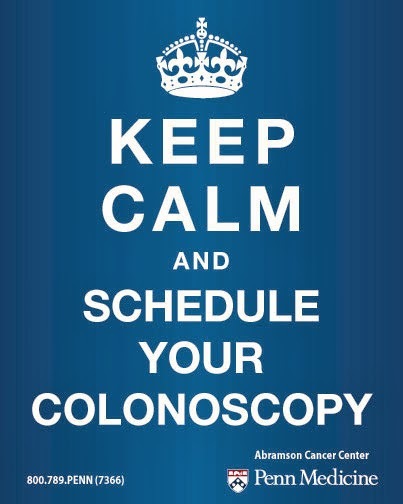 I truly believe colonoscopies save lives. We need to educate ourselves, and a lot of us probably have many questions about these cancers so affecting us. Luckily, the great people of Penn Medicine are ready to educate and answer pressing questions! 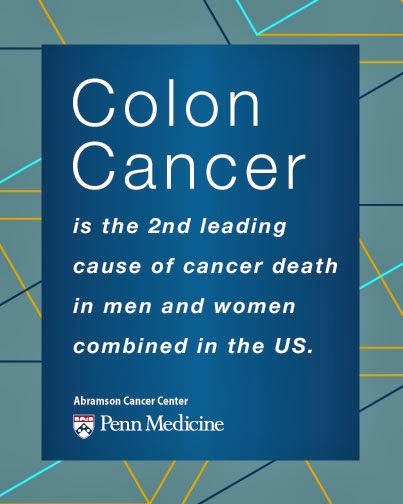 Join Penn Medicine and the Abramson Cancer Center for a Twitter chat on Thursday, March 20 from Noon to 1 pm ET, #ColonCancerACC as they discuss colon cancer, prevention, and the factors that increase your risk. Mark your calendars, pack your lunch. Penn Medicine will be sharing important information that could save your life!